I must extend a huge thanks to Will at Broncolor Canada for making the Move system available to me for testing and review. Broncolor products have a reputation for being on the expensive side. It's true. Quality costs money and so does consistency, shot to shot, year to year. The Move system eschews TTL metering for basic manual control. If you have a light meter, you are on target with a single test. If you don't have, or don't know how to use, a light meter, it may take you three shots. The challenge of any shoot is not getting a good exposure, it's getting the techno crap out of the way so you can focus on making great images. The Move 1200L does this, in spades. The evaluation system I received is the Move 1200L Outdoor 2 Kit. It's been clearly designed for the mobile photographer who needs to take studio grade strobes to the subject, not necessarily bring the subject to the strobes. The kit contains the Move 1200L control system, a battery pack, two MobiLED heads including connection cables, a battery charger, documentation, a PC sync cable, a field bag to allow you to put the power pack over your shoulder, a battery bag for your belt, and a roller trolley style backpack to lug it all around. Broncolor also puts an 85cm silver umbrella and a 60cm x 60cm small softbox with speedring. Packed all up it's heavy but definitely field luggable. Will also sent me the new Broncolor Focus 110 Umbrella in Silver, and a Broncolor striplight softboxto give me some modifier options for my shoot tests. The Core of the Move 1200L is the power pack. Many power packs look like they were put together just after WWII and are big heavy square edged things that in addition to providing power, could also anchor a sizeable boat. The Move 1200L pack is very streamlined and has a minimalist and pleasant design. There is a bright LCD panel on the top, a vent for cooling, the battery bay and two large multipin connectors to connect heads on the side. There is a large and comfortable carry handle built right into the pack casing. The entire pack is armoured with rubber, and each corner has a very robust 3D protection lug to prevent damage, and they also make it much tougher to accidentally tip the pack over. The buttons are not overly recessed and are built for normal human fingers. You can definitely operate this pack with gloves on. The pack is water resistant, and the carry bag is a weather repellent nylon. Construction feels completely professional. The power rating is 1200 joules, also referred to as 1200 watt-seconds. We won't get into whether that description is perfectly correct in every way, suffice to say that it works in your mind. 1200 joules is a lot of power, and that is one reason why one would choose a Move kit. The ability to deliver a lot of power, repetitively and quickly. A lot of power with a long recycle time is fine if your subject is not moving, but if your subject is a dancer, that would not cut it. With recycle times as short as 0.2 seconds, the Move addresses the recycling time issue well. The battery is easily installed via a tray with a locking catch. To check power levels without having to turn the unit on, just tap the battery check button on the battery. Large green LEDs give you a good indication of power state. My unit arrived with about 40% charge and it was full up in under an hour of charging. The displays for lamp 1 and lamp 2 are easy to read. You can move the power settings for both lamps in sync with a the master up and down buttons, but each lamp also has its own power up and down buttons so you can tune the lighting to suit your needs. There's a test button right on the power pack. Each lamp connection hasa flash cutout circuit to protect the pack and also has Broncolor's ECTC functionality. ECTC stands for Enhanced Colour Temperature Control. This is brilliant function that holds the colour temperature of the flash output consistently across an eleven stop range. Let's say that I have been exposed to other flash systems where the colour temperature is as all over the place as a driver high on mushrooms. Not so with Broncolor ECTC. If your work is colour temperature dependent, this may be a high demand offering for you. 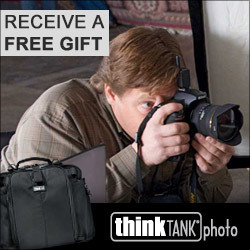 If you shoot cosmetics, fashion, furniture or commercial products, you will love this capability. Power can be controlled symmetrically or asymmetrically for the heads. Output control varies over 9 stops in 1/10 stop increments. The actual output runs from 4.5J to 1200J offering very precise output control for each light as a system or independently. As my preference is to get it right in camera, this level of control is both appreciated and expected. There is also a Speed button which reduces the recycle time at the expense of battery efficiency. You decide which serves you better. If you need more pops, there is an ECO button which doubles the recycle time, in favour of giving you more shots on a charge. Bron says that you should expect about 170 full power pops in regular mode and about 230 in ECO mode. As this is a battery system, I will also recommend carrying extra batteries, particularly when heading out into a hard to get to field location. You can control the modelling lights in your heads right from the pack, and via the menu system control how long the modelling lights stay on to better manage your power consumption. I've also included a supplementary video that goes over the system. The MobiLED heads are, in my opinion, excellent. They are small and lightweight, with a decent cable length (11.5') built in. Given my tendencies with lighting design, I would order extension cables, for simpler placement and to reduce the likelihood of Captain Clumsy here tripping over stuff. The MobiLED heads come with a standard light stand mount (5/8 female) and include their own pan tilt capability. While these heads are lightweight at only 1.7kg each, they can use all Broncolor light modifiers. The mounts are also designed to take an umbrella. Each MobiLED can handle 1200J of power. The flash tube is protected but is user changeable, which is critical to most pros who don't want to be without a head for weeks while it is in service, just for a new flashtube. There is a built in fan that comes on as needed without user intervention. My units came with the basic reflectors which did exactly what I expected them to do. The reflectors are bayonet mount and come off easily when you wish to use a different modifier. The MobiLED can be used with other power packs but the modelling lights are designed to work with the Move systems. The modelling lights are 30W LED systems. They are easy on power consumption and run quite cool. You can also use them as video lights if you so desire, and when you run them this way off the Move, you can expect over 2 hours of runtime. I found them very useful in the studio as modelling lights and even tried them as video lights. They worked fine in this mode, but I did need to increase the video gain much higher than I would for my traditional KINOflo video lights. That's not a complaint, I can put a MobiLED in the big pocket of my vest. A KINOflo is a lot harder to handle and does not run on battery. If you have ever used any other studio strobes with modifiers, you may need to relearn your mounting technique for Broncolor. In most systems, you use some set screws to determine the ease of rotation of the modifier between the speedring and the mount adapter. Broncolor does it differently, and I have to say, I like their method more, but I had to get used to it. In this case the speedring and the mounting ring should be snug together. Broncolor heads use a bayonet/flange mount where the two flanges are of different sizes. Unlike other systems which are an insert, short twist, lock model, Broncolor lets you mount the modifier and rotate it 355 degrees before hitting an internal stop. It is certainly one of the fastest methods to change the rotation of a modifier that I have encountered. I use strip boxes a lot in my work, and this makes orientation very simple, with no concerns about the outer ring coming undone from the inner ring. It's a little thing, but it matters to me. Broncolor modifiers are not ridiculously expensive. I would say that they are priced very competitively. Certainly there are others of similar quality that are much more expensive. The umbrella and small softbox in the kit are light and easy to use, but unlike some other "kit" products are not made to a lesser quality standard, and when taken care of, will last you a long time. Internal finishes are robust, and do not look like they will flake away or degrade over time. Seams are tight, and light does not pour through the seams as in some other lines. If you have other softboxes, you can purchase Broncolor speedrings to use with them, but I would caution against putting some cheap as dirt softbox on such a quality light source. That's very false economy. In addition to the expected variety of hard reflectors, Broncolor brings some very cool options to the table. I very much like the Hazylight, which is the current iteration of the Broncolor Hazy I used as an apprentice. I also like the Balloon and the Satellite. I am very much a lighting geek and appreciate the flexibility afforded by different modifiers. Broncolor has a number of softboxes available in various shapes and sizes. The Beautybox is a brilliant idea for the field as it is a beauty dish that collapses sort of like an umbrella. I have seen a Westcott implementation of this and have a Profoto OCF version for my B2 lights. I love the light from a beauty dish, but carrying them into the field can be a challenge. In the studio, I will stick with my Molalights, but in the field, I think that the Beautybox is a great offering. Broncolor also offers a selection of umbrellas. I got to shoot the new Focus 110 for my evaluation and liked it very much. It is a parabolic design, and you can easily focus the light by changing the position of the head from the reflector. Very light and handy in the field, I used it for my high speed sync tests. Broncolor makes my absolute favourite light modifier, the Para. I have shot the Para 133 and own the Para 170FB. There is nothing like a Para. There are clones, but none of them come close to the quality of light that comes out of a real Para. I popped the MobiLED into my Para and got exactly what I expected, that amazing hard-soft light that Paras do better than anything else. The Move system has an RFS receiver built into the pack. You can use it in pure slave or via a traditional sync cable, but I would have to be asking the question, why? The RFS 2.2 could not be simpler. You can control multiple studios (collections of lights) and multiple lights, all from the hotshoe of your camera. My test kit came with the RFS 2.2 for Canon. In the past I have used the RFS 2.1 which was a nice compact radio transmitter that fired the flashes from the camera. The RFS 2.2 is a step up because it integrates with your camera to provide broncolor HS support up to 1/8000. As far as the camera is concerned, you are getting high speed sync. You can control power levels at the studio and the individual lamp levels directly from the camera. Units are available for Canon, Nikon and Sony systems. You can have up to 99 studio channels and up to 40 distinct lights per studio. The device has a range of 30m indoors and 50m outdoors. Once you are accustomed to it, it's absolutely brilliant. The LCD system is easy to read, and there is a pass through hotshoe if you need to connect an OEM flash or accessory. I shot two sets of tests as part of this evaluation. The first was for my friend Trish who is a competitive bodybuilder and personal trainer who was looking for some images for her website and coaching brochures. The second was done with my friend Laurie, who was incredibly gracious, to step in on near zero notice so I could do some HS sync work before I had to return the system to Broncolor Canada. Setup went fast and easy. We did both portrait / headshot work as well as poses. I used a single head for the poses, along with the strip light to call out Trish's muscle definition, but not in a manner that would make her look less female, and neither of us wanted anything that could be interpreted as less than classy. I was happy, but far more importantly, Trish is happy and that is all that matters. All the images were shot in the studio against a neutral background, potentially for compositing later, or for alpha channel background stripping to use on the web. I shot everything with a Canon 1Dx Mark II, and a Canon 70-200/2.8 IIL at 1/200 and varying apertures, with the ISO at 100. I used a Colour Checker Passport for a reference image and the ECTC was so exact, I never had to make a modification to the images. We shot over a long period as Trish is not a professional model, but is a very committed bodybuilder and holding those poses is very demanding and I did not want her to get fatigued. When I asked Laurie if she would stand in as my model on very short notice, she agreed after reminding me that she prefers being behind the camera instead of in front of it. Laurie is an excellent photographer in her own right, specializing in lifestyle, engagement and motocross. The third may not sound like it goes with the first two, but Laurie rocks at motocross, her work is stunning. Check it out here. The weather on the day of this outdoor shoot decided that spring was coming too fast and so it decided to snow like it was January. While I was not trying to test the system in crappy weather, we did, and it held up perfectly, despite rapidly falling snow and rapidly falling temperatures. For these shots, I went wide open on the 70-200 so f/2.8 and ISO 100 and had shutter speeds between 1/640 and 1/2000 depending on the amount of cloud cover. The colour of the light was changing constantly and despite this, the camera in AWB, and the falling temperatures, the ECTC held the colour temperature perfectly. With the RFS 2.2 on the 1Dx Mark II, I was able to easily mix daylight with flash at high shutter speeds and shallow depth of field. 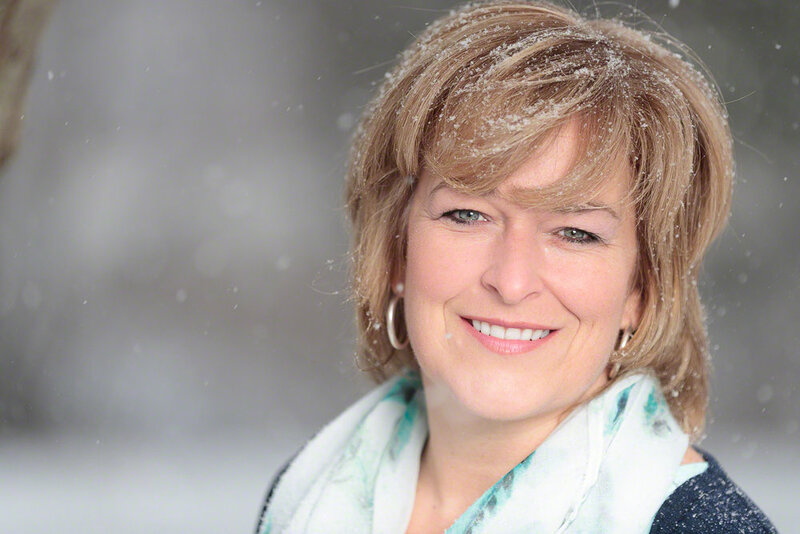 As mentioned, I used one MobiLED firing into the (completely snow-covered) Focus 110 umbrella. I have yet to be disappointed by any Broncolor offering. They do take a different approach to modifier attaching and how their software works, compared to other providers. When the user invests the small amount of time to learn the differences, any alleged challenges become moot. Broncolor gear works. It doesn't futz around, it is extremely consistent from shot to shot, and it gives the creative real control over the lighting. The Move system is ideal for the photographer who wants a powerful and portable field and studio kit that is 100% reliable and very easy to use. Broncolor will never be referred to as cheap, or frankly inexpensive. Your investment will last you a long time and it will not let you down when it counts as have so many less expensive, and lower quality systems.